Lake Norman Business Expo – Show & Tell! Nearly everyone has experienced “Show and Tell,” whether a student yourself or assisting your child with their project. When I was in grade school, I was asked to bring something or someone to school of significance to me to share with the class; as a precocious little tike, I decided to bring “myself.” Since I was the first-born child, my mother took great pains to detail every significant event of my childhood. My baby book was filled with photos and captions detailing the particular moment. I can still recall taking the baby book down from the shelf and stripping many of the photos from the album and creating my own little project. The next morning I shared with my classmates the most significant something or someone to me – “me”! Not satisfied with my mother’s captions, I created a new explanation for each photo, each with their own creative and adventurous story. Much to my mother’s chagrin, those photos never made their way back to its original display, perhaps strewn across some playground somewhere. Needless to say she was never happy about that. This month more than 130 of our Chamber members have the opportunity to “show and tell” at one of the largest trade shows for business in the Charlotte region – the Lake Norman Business Expo. This show is designed for businesses to tell their story and showcase their business. 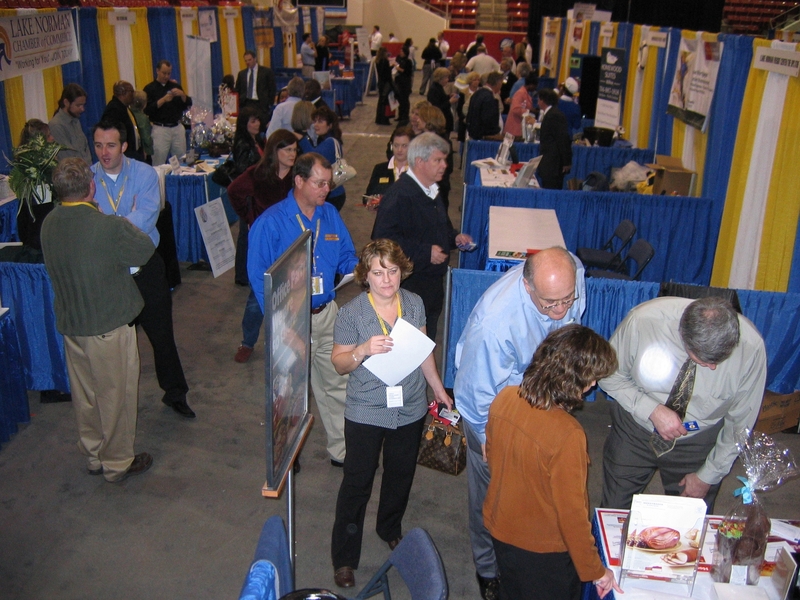 If you are an exhibitor, no other venue can give you better exposure and opportunity than the Expo. If you are not an exhibitor, please come out and see Business at it’s Best and support the lake’s retail and service businesses. It will be held Thursday, May 13th at CPCC – North Campus in Huntersville (11930 Verhoeff Drive) 10 am until 5 pm. By the way, my mother has always had the last word on the “show and tell” incident. At significant annual gatherings of my family, Mom has always reminded my brother and sister of the reason their baby book is not quite as detailed as it could have been. “The reason is because of the antics of your older brother. You have Billy to blame,” Mom reminds them on this and many other things. I always respond that I was just breaking her in good so that anything they did in the future wouldn’t look so bad in comparison. While my little exercise was perhaps not what my teacher had in mind, the Expo is our business community’s moment to shine. I encourage everyone to make the most of this opportunity to share and network with the best in business. Email, Facebook, LinkedIn, and Twitter all your friends, clients, and customers to see the Best in Business… and I’ll see you at the Expo! For more information visit www.lakenormanexpo.com.